All alone, you must use pistols and grenades to take out a group of hostiles. You can also combat the enemy by climbing into the blue tanks and armored vehicles on the battlefield. 'FRONT LINE' is an action game released by TAITO in 1983. All alone, you must use pistols and grenades to take out a group of hostiles. You can also combat the enemy by climbing into the blue tanks and armored vehicles on the battlefield. 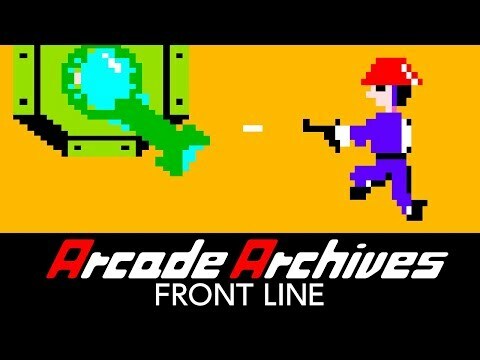 See Arcade Archives FRONT LINE in Action!